I was a backer for Ron Gilbert and Gary Winnick's Kickstarter project to develop a point 'n' click adventure in the style of their old Lucasarts adventure games from the late 80s and early 90s called Thimbleweed Park; the particular tier I backed not only had the game as a reward, but the game's soundtrack as well composed by Steve Kirk. Around the same time the game was released, I was given a key to download the soundtrack from bandcamp which is great since bandcamp gives you the choice to download music from a variety of formats. 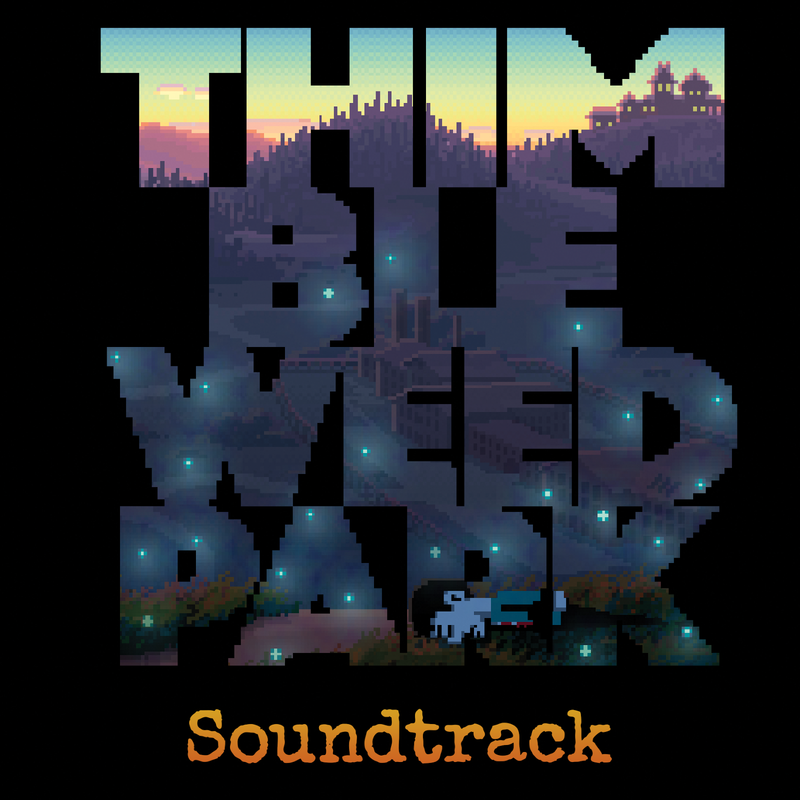 In the case of the Thimbleweed Park Original Soundtrack, you can download the soundtrack in MP3 V0, MP3 320, FLAC, AAC, Ogg Vorbis, ALAC, WAV or AIFF format! There's a total of 19 tracks on this soundtrack and the first 15 are all tracks that are used in the game proper. The remaining tracks consist of trailer music and music that didn't quite make the game. Most of the music in the game would fit well in classic Lucasarts adventure games of yesteryear such as Zak McKracken and the Alien Mindbenders, Secret of Monkey Island and Day of the Tentacle, except it's higher fidelity; the track "Hotel" definitely gives me that vibe, like it's a sneakier, spookier version of the music that plays while exploring the mansion/hotel in Day of the Tentacle. A predominant style or genre on this album happens to be a strange mix of James Bond-esque surf rock and country music like you hear in the "Thimbleweed Opener" but is also apparent in "Town" and "County"; all three of these tracks are strong offerings if you're into that kind of stuff. Another style or genre that's common is 70s/80s prog rock/symphonic rock: The organ in "Thimble Con" sometimes makes me think I'm listening to a Yes album, the end of "Mansion" (which happens to be my favourite "serious" track) sounds a bit like Jeff Wayne's War of the Worlds and "Factory" has got the dramatic, epic guitar of symphonic rock acts like Queen. It's all a very strange mix, but it more or less works considering the game's setting (a strange, small town with even stranger residents set in 1987). My favourite track on this album is one that is often made fun of in the game and it has the least in common with the rest of the album - that's because it's a synthpop number called "No Quarter". Originally, the soundtrack only had the vocal version to download but thankfully the album now has both the instrumental and vocal versions available on the soundtrack (I do think it's worth listening to the vocal version though thanks to all the funny references to the 80s). The irony of "No Quarter" being my favourite track (and probably a favourite track of many Thimbleweed Park fans) is that I'm sure Steve Kirk made the track annoyingly catchy on purpose, like many of the synthpop hits of the 80s. So despite "No Quarter" feeling out of place on this soundtrack, it still ends up being the most memorable, whether you like it or not. Speaking of catchy 80s synthpop tracks, here's Howard Jones and "Things Can Only Get Better" - I think the singing style in "No Quarter" bears some similarities. Most tracks are worth a listen to although I could never really get into "Circus" and "Elevator Descent" just makes me fall asleep. The Thimbleweed Park Original Soundtrack works as excellent background music for the actual game but I'm not sure if I'd levitate towards listening to the music outside of the game. Whenever I listen to this soundtrack I often only end up listening to "No Quarter", just so I can appreciate the funky guitar and tell people I'm now listening to "hostile takeover music". If you're interested in purchasing the soundtrack, it is available off Bandcamp for $10 USD.